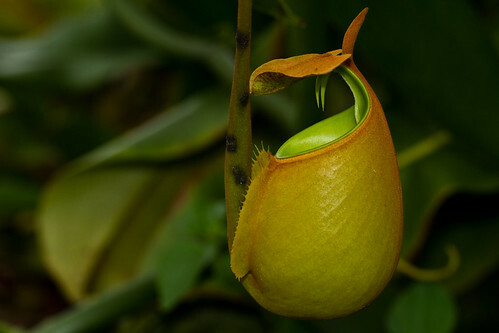 Nepenthes bicalcarata can be distinguishes from other species of pitcher by the two thorns projecting downwards from the lid. These thorns are part of the peristome. 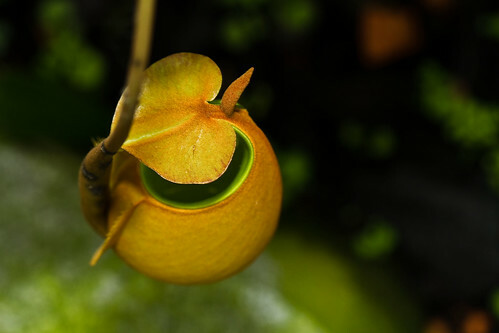 Photo taken in Orchid Garden Kuching. 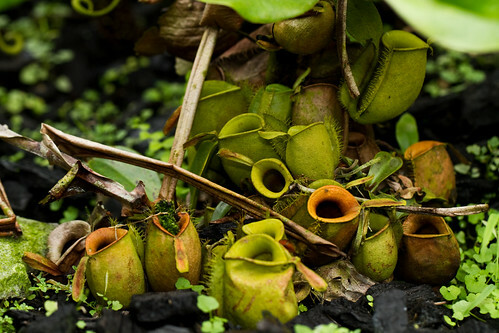 Nepenthes ampullaria pitchers are of oval shape, with a wide peristome and a narrow lid turned backwards and never covers the pitchers mouth. While the shape shows nearly no variations the colour is quite variable. Most pitchers are green but many wear brown or purple blotches.